Volendam is a town in North Holland in the Netherlands, in the municipality of Edam-Volendam.Originally, Volendam was the location of the harbor of the nearby Edam, which was situated at the mouth of the IJ bay. In 1357, the inhabitants of Edam dug a shorter canal to the Zuiderzee with its own separate harbor. Volendam is a popular tourist attraction in the Netherlands, well known for its old fishing boats and the traditional clothing still worn by some residents. The women's costume of Volendam, with its high, pointed bonnet, is one of the most recognizable of the Dutch traditional costumes, and is often featured on tourist postcards and posters (although there are believed to be fewer than 50 women now wearing the costume as part of their daily lives, most of them elderly). There is a regular ferry connection to Marken, a peninsula close by. 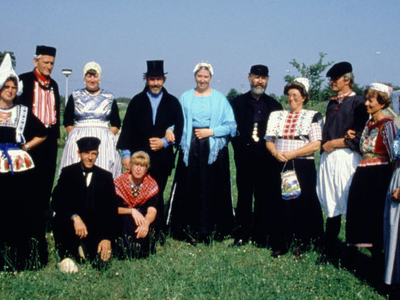 Volendam also features a small museum about its history and clothing style, and visitors can have their pictures taken in traditional Dutch costumes. 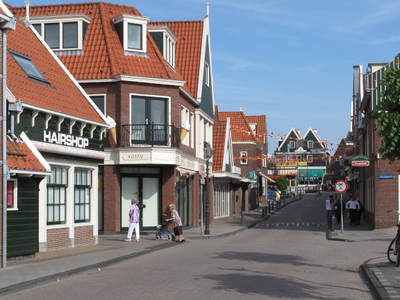 Here's the our members favorite photos of "Towns & Villages in Edam-Volendam". 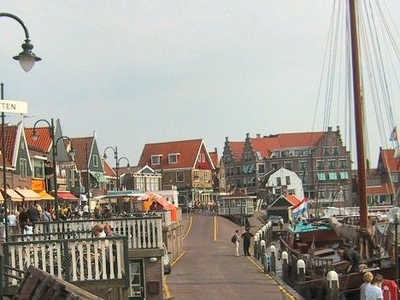 Upload your photo of Volendam!